It is that time of year when farmers are poised to get to the field. In the United States, the USDA released its first weekly crop progress and conditions report. The USDA said that 44% of the winter wheat was rated good to excellent as of April 5th. 16% of winter wheat was rated poor to very poor compared to 29% in April 2014. It was too early for USDA to include corn and soybean crop progress; this will be added in the weeks to come. It cannot be said it is a slow start to spring yet, but with our modern machinery and technology, late springs have never added up to too much problem for overall crop numbers. On April 9th the USDA released its latest World Agricultural Supply and Demand Estimates. (WASDE) There were no big surprises, especially coming after the more ballyhooed report on March 31st. USDA increased corn-ending stocks to 1.827 billion bushels, which was up 50 million bushels from the previous month. The USDA pegged corn-ending stocks to use ratio at 13.4%. Globally, ending stocks came in slightly higher than pre-report estimates at 188.46 MMT. The USDA also increased Argentinian corn production to 24 MMT and let Brazil's unchanged at 75 MMT. On the soybean side of the ledger the USDA actually lowered its ending stocks forecast by 15 million bushels to 370 million bushels. The ending stocks to use ratio dropped to 9.9%. The USDA left Brazil production unchanged, but increased Argentina soybean production to 57 MMT. In wheat, there were many adjustments, but at the end of the day there was a 7 million bushel decline in ending stocks to 684 million bushels. The stocks to use ratio declined slightly to 32.9%. On April 19th, corn, soybean and wheat nearby futures prices were lower than the last report. Corn futures had the May 2015 futures at $3.79 a bushel. The May 2015 soybeans were at $9.68 bushel. The March 2015 Chicago wheat futures closed at $4.94 a bushel. The Minneapolis May 2015 wheat futures closed at $5.32 a bushel with the September 2015 contract closing at $5.52 a bushel. The nearby oil futures as of April 17th closed at $55.74/barrel up from the nearby futures of last month of $51.09/. The average price for ethanol on April 19th in the US was $1.90 a US gallon vs. last month at $1.86 a US gallon. The Canadian dollar noon rate on April 17th was .8177 US up from the .7929 US reported here last month. The Bank of Canada's lending rate remained at 0.75%. In Ontario there has been some fieldwork as producers are very ready to get into the fields. However, as of April 19th there is little planted, although a few producers have corn in the ground in Chatham Kent and South Bruce County. Corn planting will really ramp up in the next two weeks especially if a rain free planting window persists. The speculation on the Ontario crop mix moving ahead into 2015 continues to be very relevant for future basis calculations. The 600,000 acres of wheat is now being side dressed with nitrogen and the 400,000 acres not planted last fall will be showing up in the corn, soybean and spring cereals category. Expect soybeans to come in at 3 million acres plus. Last year in Ontario we had 1.875 million acres of corn. In 2015 this number is a good starting point, but it looks now that that number will increase to 2 million acres, especially if there is a good planting window late into April and early in May. This ultimately will weigh on new crop basis values throughout the year. The basis values for corn and soybeans have decreased since the March 31st report. This is largely due to the increase in the Canadian dollar of approximately 3 cents over the last four weeks. The precipitous drop in the Canadian dollar in the last months of 2014 caused cash price increases, but it always should be remembered the alternative is always a viable option. Heavy supplies of old crop corn continue to weigh on the Ontario market. Old crop corn basis levels are .65 to $1.00 over the May 2015 corn futures on April 19th across the province. The new crop corn basis varied from .30 to $.95 over the December 2015 corn futures. The old crop basis levels for soybeans ranged from $1.35 cents to $1.60 over the May 2015 futures. New crop soybeans range from $1.13 to $1.53 over the November 2015 soybean futures. The GFO cash wheat prices for delivery to a terminal on April 19th were $7.04 for SWW, $6.61 for HRW, $6.12 for SRW and $6.10 for Red Spring Wheat. On April 19th the US replacement price for corn was $5.10/bushel. 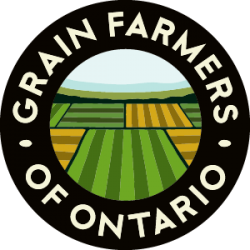 You can access all of these Ontario grain prices by viewing the marketing section. Prices have drifted lower since the March 31st USDA prospective plantings report, which is consistent with the general bearishness within the grain market environment. This has been accentuated by an approximately 3-cent rise in the Canadian dollar over the last month. Needless to say, market bulls are crying out for fresh news in order to send prices higher. As it is now, with little of the US crop planted and with only projections to go on amid the mountains of global grain, prices continue sideways and down. There are a myriad of market factors that are weighing on price direction, but we all know that weather at this time the year is critical. Last year the United States raced off to a tremendous start with corn planting and a moderate summer brought in record yields. At the present time there is a holdup in corn planting in the mid-south to Eastern corn belt. On the other hand much of the Western corn belt is in drought, which at planting time is seen as friendly, but may eventually come back to haunt this region. It goes without saying; crop weather remains the single biggest factor in 2015. Another factor, which remains extremely important for futures price direction, is the value of the US dollar. Simply put, the analogy of driving a car with a parking brake on applies to how the US dollar affects grains futures price appreciation. It simply acts as a drag for futures prices. Some analysts might say that it has been crushing to grain futures prices. Needless to say, this story might be far from over because of interest rate increases coming into the United States later this year. Any interest rate hike in the US will be a further boost to the US dollar. This cannot be ignored in 2015. Of course we are still dealing with the 89.2 million acres of corn and 84.6 million acres of soybeans projected in the March 31st USDA report. We are off to a slower start in US planting and there is a possibility in the southern United States there will be some switching out of corn into soybeans because of the weather. Surely, this is premature, but the market is hearing rumblings of this, part of the noise that will infiltrate market thinking over the next 4 to 6 weeks. There continues to be a reason for some bullish sentiment in corn. Grain futures are cheap enough that commercials have been buying. For feeders and for ethanol refiners these corn prices work. Any type of planting or weather blip in the next few weeks pushing corn to $4.20 or $4.25 would be at the top of the latest trading range. After that, breaking through would make things very interesting. There is dry weather presently in the Western corn belt, almost drought like. However, with the El Niño this is generally favorable to US crop development, usually hot and wet. So there is much production risk ahead. The May to July future spread is neutral presently at-.07 cents. This is reflected in a weakening carry in the old crop May to July futures spread, as commercials are less bearish than they once were. The May contract is trading in the lower 13% of the last five-year distribution range. Seasonally, corn futures tend to trade up through the first week of May. Soybeans continue to feel the pressure from overabundant South American supplies. Yes, there will always be infrastructure issues in Brazil and political issues in Argentina, but eventually those soybeans will get to market. This represents a fundamental difference between the corn and soybean markets. New crop pricing is beholden to those South American supplies coming onto the market, while corn is not to the same extent. So weather issues might affect corn, worse than soybeans. The May to July soybean futures spread is presently bullish at -.0275 cents. This reflects an increasing bullish commercial buying for old crop soybeans in the US. Soybean futures market tends to rally up through early May. The May soybean contract is currently trading in the lower 7% of the five-year price distribution range. Wheat has been affected by the on-again and off-again drought in the US southern plains wheat belt. However, as always, wheat prices are determined more on the global level and they remain very cheap. Regardless, US weather for the moment will be affecting wheat prices at this critical stage of crop development. In Ontario, the 600,000 acres of wheat has done somewhat better than expected. Side dressing of nitrogen continues as well as sizing up the health of some less than stellar fields. 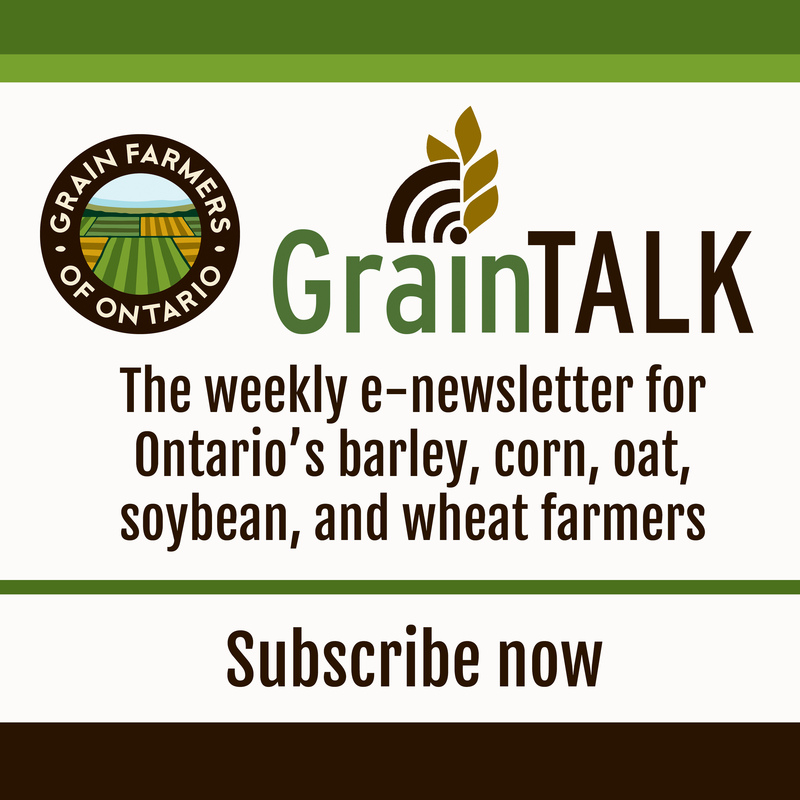 The premium for straw is very real in Ontario at the present time; spring wheat is expected to see an increase in acres in Eastern Ontario. There is no question it's hard to find rays of hope in a bearish market environment. This bearish grain market environment has been somewhat mitigated by the precipitous drop in the Canadian dollar over the last 18 months. However, the rise in the Canadian dollar of three cents in the last four weeks should serve as notice of what can happen to our cash prices from loonie appreciation. Of course, what happens to the Canadian dollar is usually in direct proportion to what the US dollar decides to do and lately it has been on steroids. The US Federal Reserve is likely to raise interest rates later this year, which will be positive for the US dollar negative for grain futures. Of course, as always the weather has to cooperate. We all know that drill. Keep in mind that the United States is projected to produce less corn acres in 2015 and it is unlikely to repeat the record yields of last year. Sure, the world seems awash with soybeans especially flowing up from South America. So never totally believe the market bears, even though at times it seems that they control the day. Everything in agriculture is fluid including our grain markets. When market headlines such as the glut of grain reach mainstream publications like they are now, most of the time the story is over and we are headed the other way. 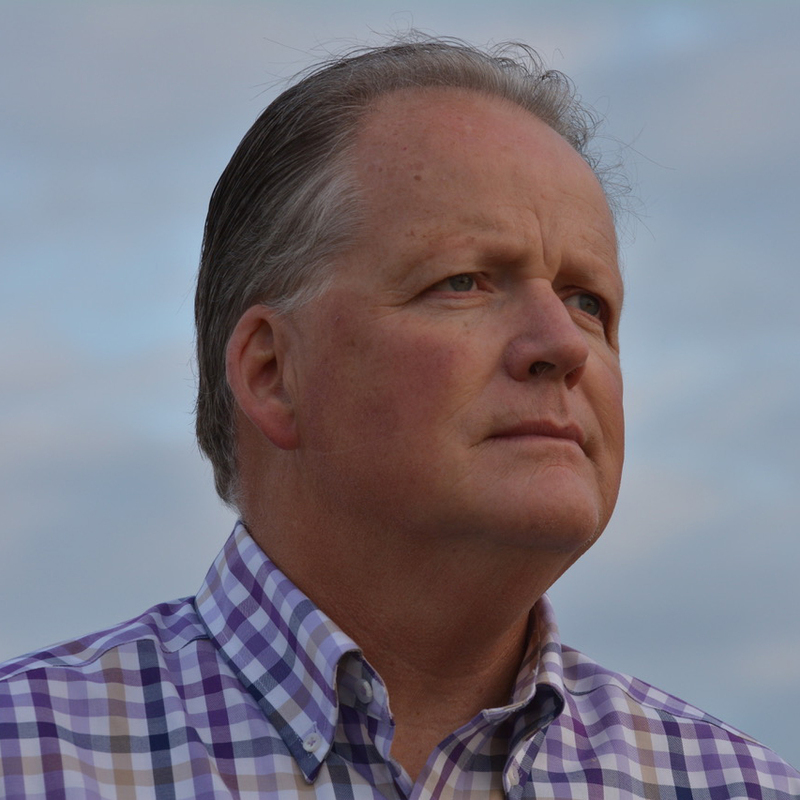 Of course planting hope is not a risk management strategy or marketing plan. Standing orders need to be put in place to actively take part in a volatile market especially during spring planting. The combination of gyrating futures values and Ontario cash basis movement is just another feature of management. It can be effectively managed. So as those planters roll in the coming weeks, work safe out there. Market intelligence will remain a daily experience. Having the right market vision will always be our biggest marketing challenge.